THE BBC has published a typically one-sided article pushing the liberal line on the government’s proposed changes to divorce law introducing no-fault and unilateral divorce. 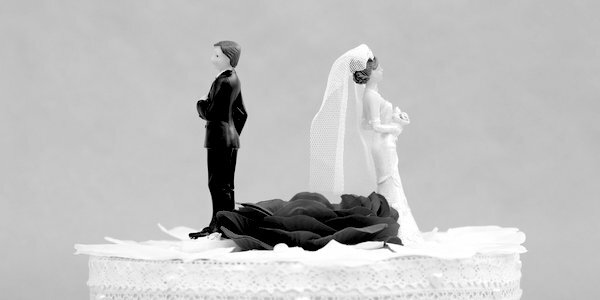 Promoters and defenders of the change are quoted at length, but despite the BBC’s legal correspondent, Clive Coleman, describing it as ‘the biggest change in divorce law in 50 years’ only a single opponent of the reform is briefly quoted. No attempt is made to explain why anyone would have a problem with making divorce easier. The article also claims that the government’s public consultation ‘showed widespread support for no-fault divorce’. Yet the consultation report itself shows a full 80 per cent of respondents opposed the move. Coleman contends that the current fault-based divorce system ‘exposes children to the damaging impact of ongoing conflict between their parents both during the divorce and afterwards’. This is because it ‘throws fault and blame into the mix when spouses are trying to end their relationship and make sensible living arrangements for their children’. Once the changes become law, all that will be required to get a divorce is for one spouse to claim that ‘the marriage has broken down irretrievably’. Divorce is always unpleasant, especially for children who bear the brunt of the fall-out, and no doubt having to go through a lengthy process in which ideas of fault can play a part is part of that unpleasantness. But focusing on this aspect wholly fails to appreciate why society makes divorce difficult in the first place. It is to deter people from doing it too readily and so encourage them to make more effort with their marriage. Anything which makes divorce easier makes couples more likely to resort to it quickly and so results in more marriages needlessly breaking down, more families falling apart, and more children having their childhoods ruined and their futures imperilled. This is not speculation. There is solid evidence that making divorce easier leads quickly to many more couples getting divorced. Australia’s divorce rate, for example, has never recovered from the introduction of no-fault divorce in 1975, just as Britain’s sky-rocketed following the 1971 liberalisation of divorce law (only dipping more recently because of the historically low marriage rates). Predictably, the establishment is in no mood to listen to such facts. Sunday Times columnist Rod Liddle reported on a debate he participated in last September where he was the only opponent of liberalising divorce. Absurdly, the debate was chaired by a well-known proponent of the change, Sir James Munby – a man who upon his retirement last year from being the president of the Family Division of the High Court announced that society should ‘welcome and applaud’ the demise of the nuclear family. This kind of lunacy at the highest levels is what pro-family supporters are up against. Another participant in the debate favouring the change was Sir Paul Coleridge, a former High Court judge and, bizarrely, chairman of the Marriage Foundation – an organisation which has rather oddly come out in favour of the reforms. Liddle relates how, like Munby, Coleridge simply refused to accept that the well-attested acceleration of divorce rates whenever divorce law is liberalised is anything other than a coincidence. It would have happened anyway, they maintain, and has ‘absolutely nothing to do with’ making divorce easier. As so often, inconvenient facts and evidences of harm are simply ignored by those set on a liberalising agenda. How much more can marriage take? With the institution already on life support, the judiciary and the Conservative Party seem to be engaged in a kind of perverse competition to see which can deliver the fatal blow. The so-called ‘Conservatives’ seem to take their cues from the latest fads in gender studies, while the judiciary appear never to miss an opportunity to undermine the special place of marriage in society, whether by awarding marriage rights to unmarried couples or by insisting that male-female couples be allowed to opt for the ‘marriage-lite’ of a civil partnership. What none of these seems to appreciate is that protecting marriage means you can’t please everyone all the time. At some point you have to stand up and say: Marriage is important for us as a society and for our children and our future, and we are going to respect it and support it even if some people won’t always be entirely happy about that. Unfortunately, this would require some kind of moral vision beyond individualism and the victim-worship of identity politics. And a backbone. Both of which are in very short supply these days.